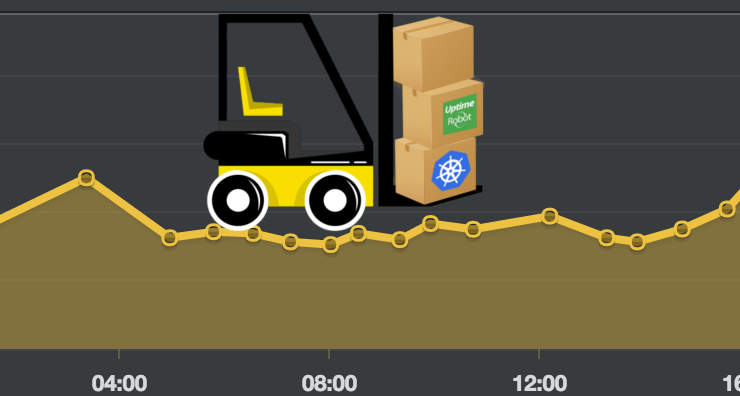 There’s a common practice in Kubernetes space in which you would want to monitor your running services in Kubernetes. When you think of monitoring, there are a couple of solutions out there like UptimeRobot, StatusCake, Cabot etc that let you create monitors for your services. The problem with this is that you have to micromanage each and every single service you want to monitor i.e., creating / updating / deleting monitors manually from the vendor’s website. This is where you can benefit from our Ingress Monitor Controller. Ingress Monitor Controller is a Kubernetes controller that will continuously watch ingresses created from services in the namespace it is running, and automatically add / remove monitors in any of the available uptime checkers. This helps you keep a check on your services and see whether they’re up and running and live. And most of all, you don’t have to manage these monitors yourself. By default, the controller ignores the ingresses without a specific annotation on it. You will need to add the following annotation on your ingresses so that the controller is able to recognize and monitor the ingresses. The annotation key is monitor.stakater.com/enabled and you can toggle the value of this annotation between true and false to enable or disable monitoring of that specific ingress. You can get your UptimeRobot API Key and URL from here. Once you have them, the next step is to create alert contacts in the dashboard which will be used to send notifications. 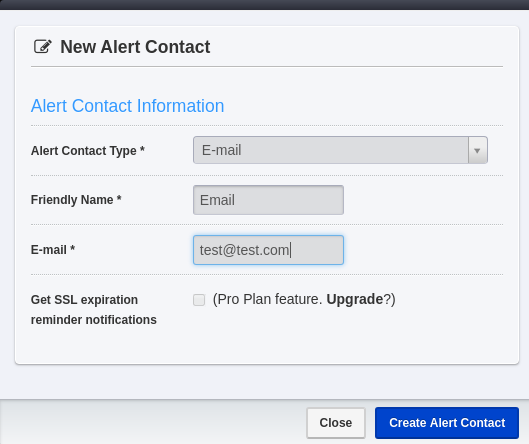 Click on Add Alert Contact and create your choice of alert contacts. You can choose from email, slack, and various others. After adding alert contacts you will need to follow this guide to see how to fetch alertContacts from UptimeRobot to be used by IMC (IngressMonitorController). Once you have them, add it to the config as well. Now that you have your configuration setup, you can deploy IMC to Kubernetes via any of the 2 methods mentioned above. Note: Before applying rbac.yaml, You need to modify the namespace in the RoleBinding subjects section to the namespace you want to apply rbac.yaml to. You can find Ingress Monitor Controller on GitHub here.